CRAFTYisCOOL: Renegade Recap and What's Next? Renegade Recap and What's Next? Fun, huh? I had free stickers, a TON of business cards, a nifty Square device to take credit cards (which was awesome and made this so easy! 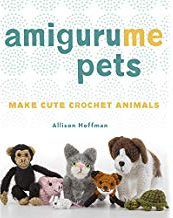 ), and lots and lots of amigurumi! My owl kits were really popular and I sold out of almost all of them! I think next time I'll definitely do some more kits. I also had a big rack of patterns for sale (thank you Borders near me for going out of business!) with some super good deals. So it was a busy few months leading up to Renegade, especially since I wasn't sure what to expect (I hadn't done Renegade before) and I didn't know what was going to be the most in demand. Since I didn't know, I just made a lot of everything! Now that its behind me, I am having a blast working on some new things! I just finished designing a custom doll for a special someone's birthday. Working from pictures, I created a doll complete with a hat, apron, glasses, and a pie! The recipient hasn't gotten his gift yet so I can't show you a side by side comparison yet! If you recognize him, please don't spoil the surprise! I've blurred out the name on his cap so --ssshhhhhhhh! Soon I'll post a photo of the man himself holding his mini-me. ﻿I absolutely LOVE making these custom dolls! So fun! Now what? I'm working on several things. First, there's this hot new yarn you've heard about, Sheep(ish), by Vickie Howell for Caron. 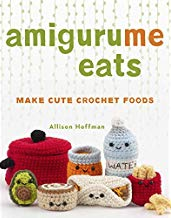 Thursday I'm a stop on her blog tour, and I'll be doing a giveaway of an amigurumi and a skein of yarn. I designed a new pattern (amigurumi of course!) for Sheep(ish) that will be released in June on her website. Come back Thursday! Next I'm finishing up a design for Lion Brand Yarn, which will be coming out some time this fall. It's going to be really cute! It is being made with some fabulous, amazing, magical yarn. Really, you will LOVE it. Last but not least, I'm going to have my work featured in two gallery shows this summer! I cannot WAIT for this. I designed a few pieces for the iam8bit show coming up this summer in LA. So of course my husband and I will be there for the show! 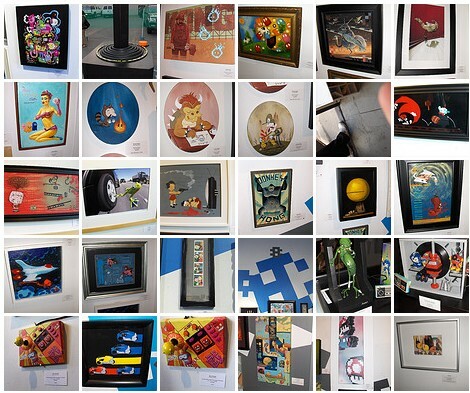 If you haven't heard of it, iam8bit is a production company that has an annual art show featuring work that celebrates retro video games. I really love the stuff I made for it and I will post pictures here just as soon as I get the OK. To the left is a picture of some of the work that has been in the show in the past. The second show will be the Bear and Bird Gallery's "Stitch Wars Strikes Back" -- that's right! Star Wars themed! I can't wait for this one either. Again, photos will be up as soon as possible! 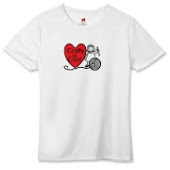 Please check out my new tabs up top---there's a Gallery, an About Me, and a Custom Order page. I've added a few finished amigurumi and when they're gone, that will be it for a while! Thanks everyone for visiting! 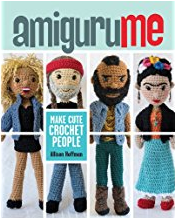 Your amigurumi are so cute and sweet, perfect!